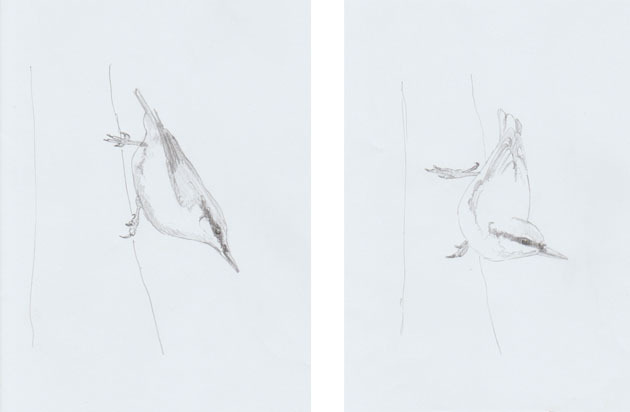 I made a number of preparatory sketches of Nuthatches, mostly from photographs I had taken of the Nuthatches which come to the bird feeder at my workshop. 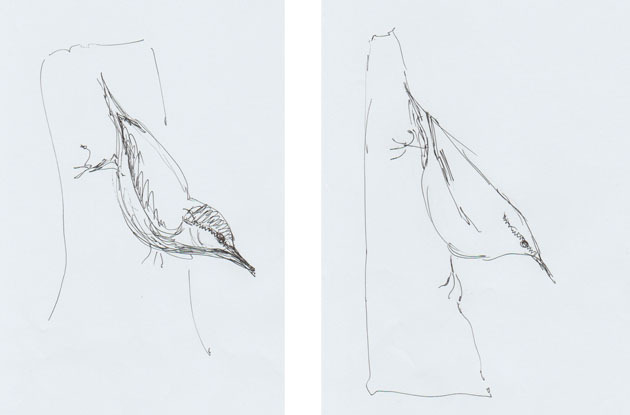 They bred and fledged young from the old Sycamore tree here, and watching them helped hugely in these initial drawings and getting the feel and personality of the bird. 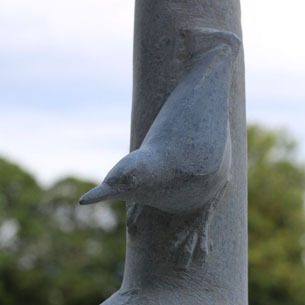 There are challenges in achieving the delicate leg bones and feet (with their long arched claws) and thin, sharp beak of the Nuthatch in stone. 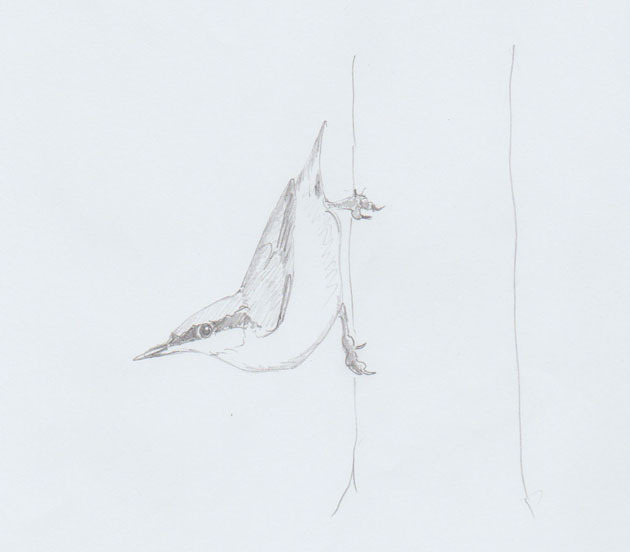 So the sketches progress to indicate simplicity where required and how I might carve finely to get the look of delicate poise, agility and the expressive nature of the Nuthatch, without stone breakages. Sometimes little compromises have to be made and small, subtle changes from the first, ambitious ideas. 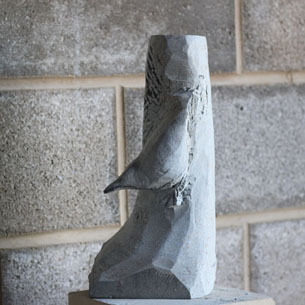 It is always a balancing process, how far can I take the stone and work with it kindly, appropriately, and also give the affect of a wild bird, achieving a likeness and lightness. 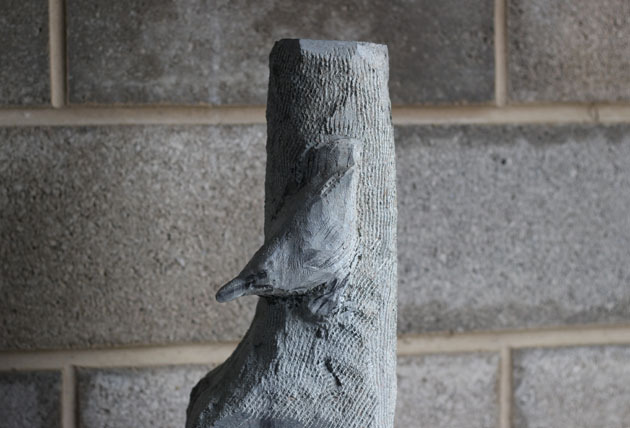 With this aim I have to just start carving, or work out ideas in clay first. This can be very useful stage and hugely informative. 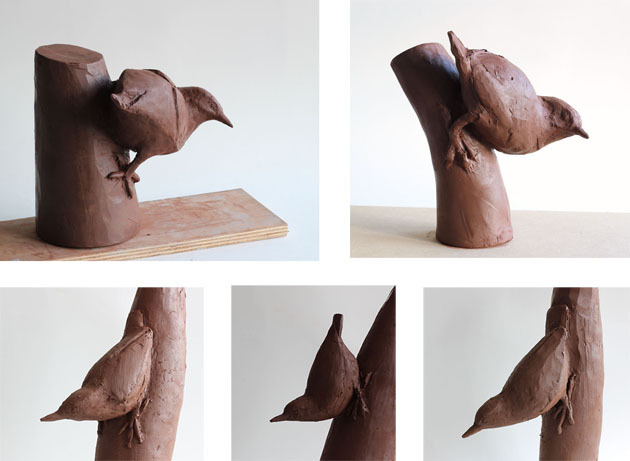 Sometimes an idea can seem perfect in my mind’s eye, but when modelled and materialised in clay, I discover it wouldn’t work at all, and it is so much better to discover this prior to carving in stone. 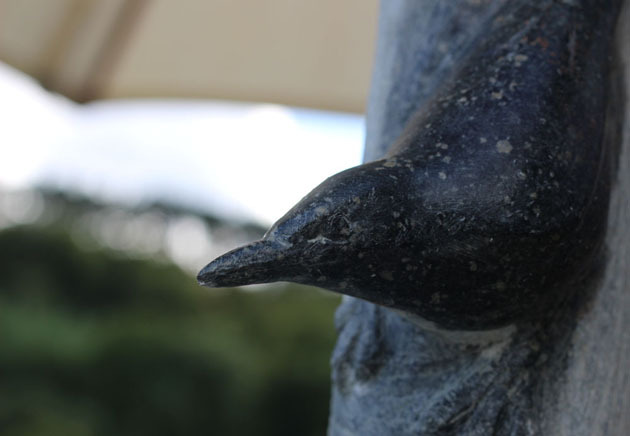 A series of maquettes (small scale models) for the sculpture were made. 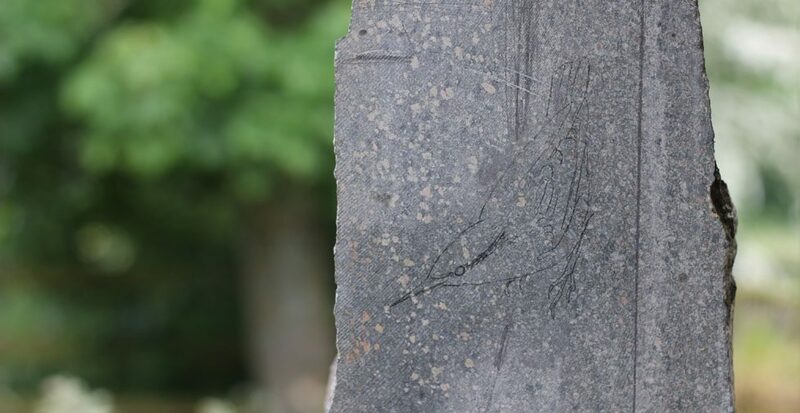 These can then be used as a guide for the stone carving along with the sketches. 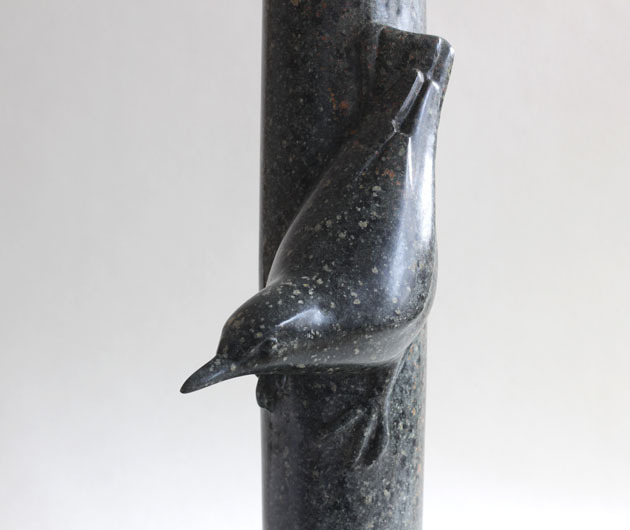 The sculpture is carved in soapstone, which looks pale grey and rather unassuming when raw from the quarry, but when polished is much darker with speckles of colour. 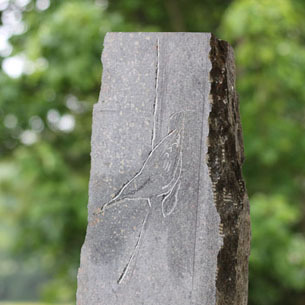 The outline of the Nuthatch is drawn on the stone and then the excess removed carefully to start blocking out the shape. 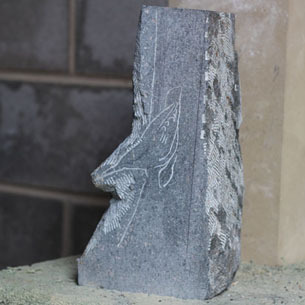 When I’m happy with the carving, sanding the stone begins. 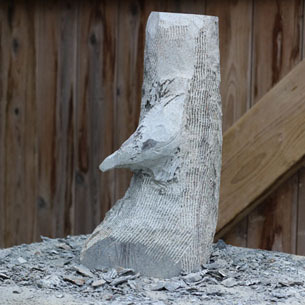 I want the piece to have a smooth finish. 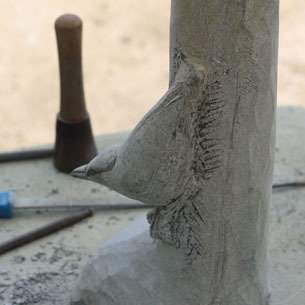 Firstly I use files and rifflers to remove the chisel marks. Then sand to remove all the scratches left by the files. 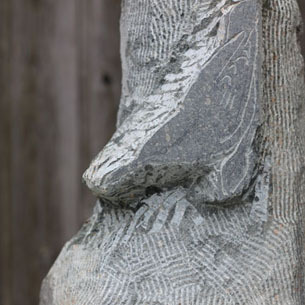 To polish soapstone I sand with increasingly fine abrasive until the stone begins to show a sheen. 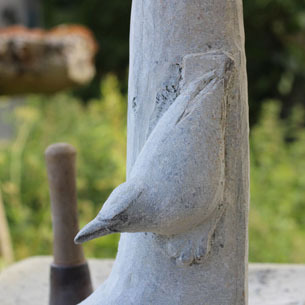 Initially I work with the stone dry, and then with water to clean away the dust and slurry made from sanding. 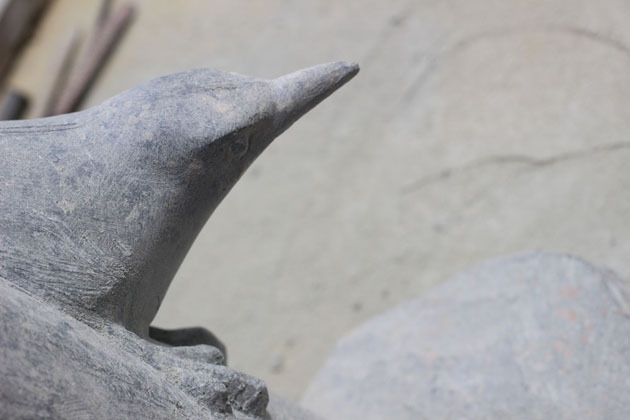 I am careful at each stage to be thorough and also give particular attention to avoid losing any of the detail that I have carved into the Nuthatch sculpture.